Each and every day we strive to provide the best home health experience for our patients; putting our patient’s needs first. Our expert team of caregivers will work closely with you and your physician to coordinate services and develop a plan of care, specific to your needs. Whether a patient is transitioning home from a hospital or nursing facility stay, or is managing a chronic condition, our team ensures our patients are safe and they retain their independence in a familiar environment. Our innovative services and preventative health programs recognize the needs of our patients and work to provide you with the quality of life you deserve. We service Fayette, Franklin, Henry, Madison, Randolph, Wayne, and Union counties. We provide the care and services you need to recover, all in the comfort of your home. We are available 24 hours a day, seven days a week; call us to learn more about how our services can help you or a loved one. Reid Home Health provides treatment or assistance to patients who are recuperating, chronically ill, or disabled, in the comfort of their own home. Our home care services include specialized programs, prevention, and health maintenance on a short-term and long-term basis and include a wide array of services from high-technology nursing to basic home health aide care. Our highly trained skilled home care staff is committed to providing exceptional care in your home. Working directly with our patients’ physicians, our home care team plans, coordinates, and provides care tailored to every person they serve. 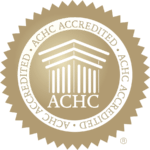 Health Care (ACHC) and rated by the Centers for Medicare and Medicaid Services (CMS) as one of the top home health care agencies in the nation. 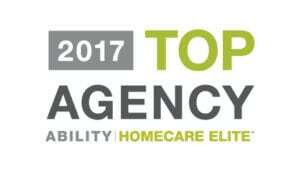 Reid Home Health was named as HomeCare Elite Top Agency for 2017. In addition to skilled nursing, therapy and personal care services, Reid Home Health offers a number of specialty home care programs and services to help patients, their families, physicians, and hospitals manage a variety of diseases and conditions in their home setting through qualified and compassionate care.